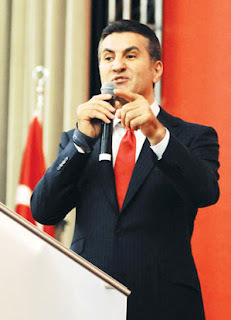 On Tuesday, Sisli mayor and leader of the Turkey Movement for Change (THD) Mustafa Sarigul announced a cancellation of his plans to form a new poitical party in Turkey. Instead, Sarigul said the change taking place within the CHP was hopeful and seemed to hint that Kilicdaroglu's election obviated the need for a new leftist political party. Sarigul was expelled from the CHP in 2006 following a fiercely contested bid for the party's leadership. For more on Sarigul and the TDH, see Feb. 9 post.